ZAIRE. Kinshasa. October 30th 1974. 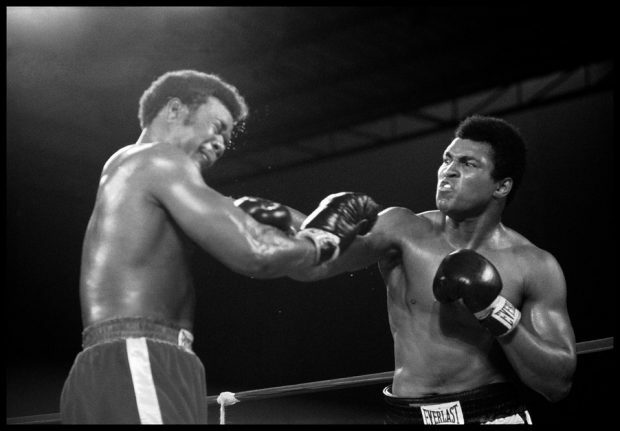 World Heavyweight Boxing Championship between American fighters Muhammad ALI and George FOREMAN. On the right: Muhammad ALI, throwing a punch.